I am a new member of the Design Team. I feel very honoured Christine asked me. These stamps are new to me , but I already like them a lot. It is called Country Apple. And isn't she just too cute ?? You can find it here in the shop. 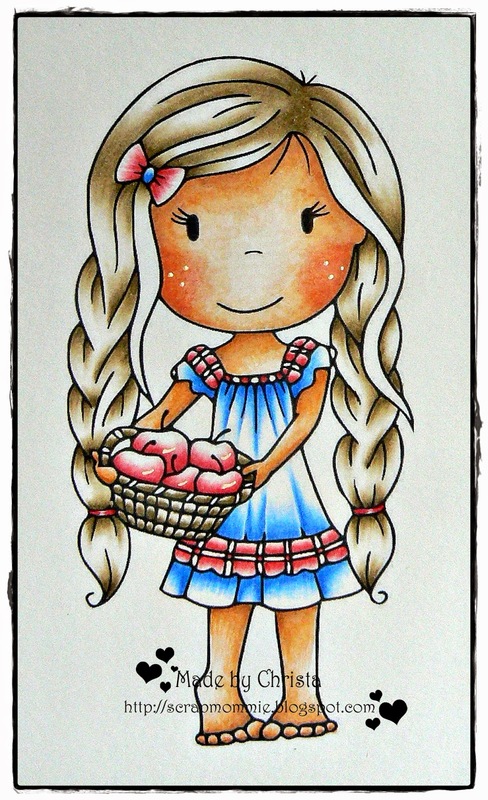 I have coloured her with Derwent pencils ; only the skin is done with Copics. 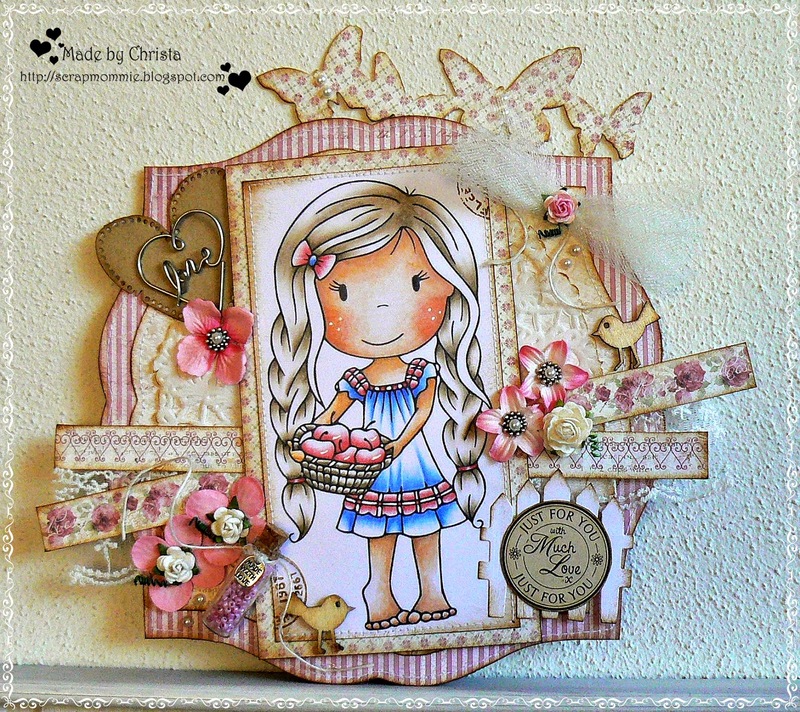 Very pretty Christa, congratulations with your Dt spot at Paper Nest ..